Looks like Shaun White has some competition! 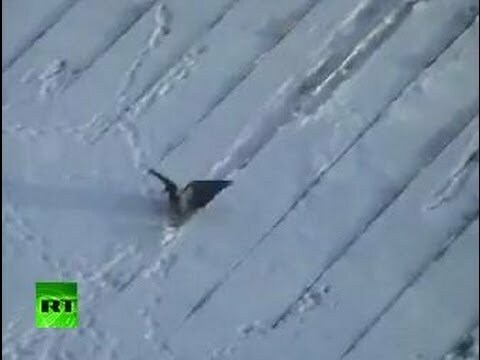 This resourceful crow found what appears to be a jar lid to surf down a snowy roof in Russia. The video was posted on the Russia Today News website. Crows belong to the corvid family, an intelligent group of birds that also includes ravens, magpies and jays. To learn about the American crow, read Something to Crow About.